Games Archives - Page 2 of 3 - FirestormProductions - Gaming News! There are several positive and negative things about playing video games. In 2018 there are expected to be more games than ever before. But with the positive thing that this means there are of course also some negative effects. 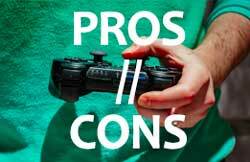 This article will describe a few of the pros and cons of video games in 2018. The design of most typical video games is that they are based on the premise of solving problems and figuring out how to beat the game. For persons who play especially strategic and fast-paced games, some studies have shown that these players tend to make decisions faster in real life. The simulated conditions of video games help players improve their decision-making abilities in real life. Games that require players to be highly strategic, help to improve problem-solving skills of players in real life. Fast-paced games also tend to help players adapt and react to changing situations and scenarios more effectively. Video games generally tend to be based on a specific theme or subject matter. A lot of work and expertise goes into many games to make them as authentic and realistic as possible. There are great depth and richness in the characters of the game, how the story develops, the specific fantasy world that is created among many other creations. All these factors work together to engage the player as much as possible and the more a player understands the game the better he plays. Certain interests can be sparked through the playing of video games such as a deeper appreciation and interest of certain historical eras or an interest in computer coding, video game designing or website development. Video games can to an extent replace potential vices that young people may otherwise fall into such as drinking alcohol, smoking or eating too much. Playing games too much can become a vice in itself; however, playing video games in moderation can serve as a more suitable alternative for relaxation and recreational activity. Specific games such as puzzle games and strategy games can promote better mental health. To play games in 2018 are not for free. There are of course a lot of games you can play for free but if you want a new item or new skin you will have to pay for it. To keep up with the performance and graphics you also need to buy new hardware once in a while. Today many games are just like a casino. You will have to pay some money to continue. Many things that are entertaining cost money so it is not a bad thing in itself. If you enjoy video games there is not a big step to take to try a casino. The game can be as or not more entertaining because it brings a whole new level of possibilities to winning real money. Check out https://newcasinoonline.com/ to compare and find new casino sites 2018. In 2018 Viking, Narcos and many other popular TV-series will become video slots so check it out. Many video games tend to be sedentary with players sitting a lot and being exposed to hours and hours of screen time. This leads to reduced physical activity and exercise, unhealthy eating habits and disrupted sleep patterns which all contribute to an unhealthy lifestyle and conditions such as obesity. In addition to physical health, many psychological stresses may also develop when video games become an addiction. Players become withdrawn and impair important social relationships with their families and friends. They may also develop self-esteem issues, suffer dark moods and depression and develop social anxieties. Long exposure to video games or violent nature may also trigger violent behaviour in younger people. One of the main benefits of buying a game online is the ease and convenience of getting your hands on your favorite game without the hustle and bustle of leaving your house. You can even pre-pay and download the game earlier than the release date although the content will be locked until the day of release. You have a wider variety of game options when you download them instead of getting physical copies. With downloads, you can switch between games at the touch of a button and get instant access to new games to your console’s hard drive without the physical exertion of getting physical ones. The downside of boxed games is that it turns your space into a complete mess. Boxed games take up lots of space and are usually are an eyesore. 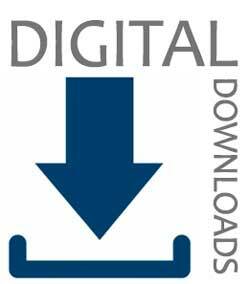 The upside of downloads is that everything is stored electronically on your console’s hard drive. When you buy a physical copy of a game, you are actually purchasing a license to own that particular piece of media. This is essentially differently when you download a game. Your rights are limited with downloads because the rights of that game remain with the developer. With a physical copy, you can resell, auction, give it away or do what you want with it. Should your account get hacked and investigations launched by a developer, all your downloaded games are inaccessible as long as your account is suspended and under investigation by the developer. Typically, most downloaded games are much more expensive than buying a physical copy of a game. The price of games on online stores is higher than purchasing a game in retail stores. There is only so much space that your hard drive can accommodate and therefore, more often than not there will come a time when you either have to invest in extra space or delete a game to create space. Granted, you can always re-download a deleted game when you so choose, nonetheless, it is so much easier to just pop a physical copy and play. The essence of downloading a game is that you need to have good bandwidth speeds otherwise you can end up spending up to 24 hours downloading a game. With a physical copy, you simply pop it in and play instantly without having to waste hours and paying for the cost of the bandwidth to download. Ustwo is a London-based game development company that developed the popular puzzle game Monument Valley for iPhone and iPad users. This particular puzzle game won in 2014 a prestigious Apple design award. The startup company was founded by Matt Miller and his friend John Sinclair. The popular game Monument Valley was initially free but was afterward priced at just under £4.00 with the number of Apple downloads hitting 26 million in just over a year by May 2016. The company also develops software and apps for other game companies, for example, the software for Tesco tablets and has also worked on Google’s operating system, in particular, their Android Watch system. Rockstar North game development company is based in Edinburg and is renowned for making the widely popular game franchise Grand Theft Auto. Other game franchises to their credit are the Max Payne series, Red Dead Redemption, and Lemmings. The game Max Payne has also been turned into a movie. Rockstar North was founded by two brothers: Sam and Dan Houser in 1998 and BMG Interactive was its predecessor. The popular game Grand Theft Auto V is one of their most profitable games and it made $1 billion in sales in 3 days after its release. Rebellion Games is a British game development company based in Oxford. It is well-known for making action games and its most popular game franchises to date are the Aliens vs. Predators franchise and the Super Elite franchise. Rebellion Games was founded in 1992 by two brothers Jason and Chris Kingsley who had also shared a passion for playing and making games. Rebellion Games is one of the few successful game companies that have remained fiercely independent. 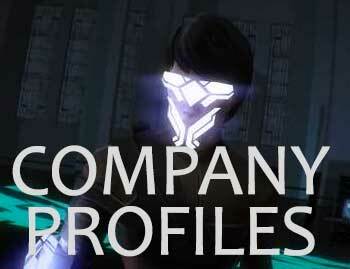 The company has also diversified into other fields such as comic books publishing through the Abaddon Books imprint. Sports Interactive Company is a video game developer based in London and is renowned for the popular Football Manager series. It was founded in 1994 by the Collyer brothers and in 2006 was acquired by video game publisher Sega. Football Manager has become a highly influential video game because it mimics to a great deal the real world of football management from player transfers to handling the media to injury management. The game industry is becoming more and more competitive and many graduates are flooding the job market every year hoping to land a cushy position in a game studio of their dreams. While this is not possible for all graduates, as a game designer, you are able to make your own games by getting involved with other fellow independent developers and creating your own projects. By taking advantage of such opportunities, you are able to stay afloat financially while gaining valuable experience in the gaming sector. The gaming industry is not your regular 8 to 5 job that most people are familiar with. The sad truth is that countless of people today are not doing what they love but are working in jobs that they don’t like and that has nothing to do with what they studied for. For those that love the world of gameplay, creating characters and fantasy worlds, becoming a game designer is the perfect opportunity to turn what you dreamt of doing when you were younger into a career. In addition to loving your work, depending on your experience and where you work, the pay and benefits of game developers are also pretty good. 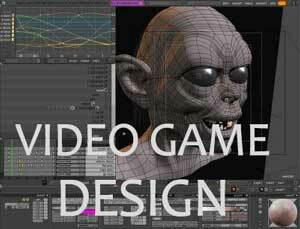 It is not a requirement that you have a degree for you to become a games designer. Most people do tend to have gone to college and learn new tools and receive instruction however what employers are looking for is a designer who is capable of making games. Hands-on experience is the best mode of developing skills and gaining experience and lots of practical experience is more beneficial than theory. That being said, a good program or course that gives hands-on learning and instruction is still a better way to enter the games industry. The one essential skill that you require as a games designer is creativity and lots and lots of it. As a designer, you are the idea behind the product and therefore, the rest of the team is depending on you to come up with interesting, unique and exciting concepts that programmers and artists can bring to life. As a game designer, you are a problem solver as you come up with innovative ways to work around changes and keep the core of the game fun and intact. This year is soon coming to an end and we have started to look at what to come in 2018. We are very excited about what we have read so far. The market is exploding with new and innovative games. The games are popping up in all forms and on all platforms. The obvious trends are mobile and VR but there are also more advanced technology and niche trends. One type of games that we would like to dig into a little bit extra today is casino games. Maybe you are not familiar with how these games look today but many of them are very similar to mobile games. With casinos with gamification, you can make adventures, challenges, puzzles and clues to have more fun. The graphics and sound are amazing and there is already VR games to the casino. If you are looking for a casino online 2018 there are hundreds of them. The most difficult part is to find a casino that suits you. A new casino 2018 is often better than other alternatives. You will get the latest design and graphics. Not only of the games itself but also on the lobby, filtering options and the VIP clubs. The best part of new casinos 2018 is that you will find the best bonuses with the most amount of free spins. By getting the best bonus you will, of course, have a bigger chance to win the big jackpot that we all wish for. Find a new casino 2018 and enjoy the fun. There is a clear trend. And that is that people use the internet more and more on their mobile phone and tablet. Smartphones are primarily used as a surf-device for both convenience and enjoyment, and today you can do everything online. Paying bills, reading news or streaming music and video, is something that most people do everyday. Another pleasure found in our mobile phones; is playing casino games. Every day more and more people discover how fast and easy it is to win at the casino directly on your mobile phone. 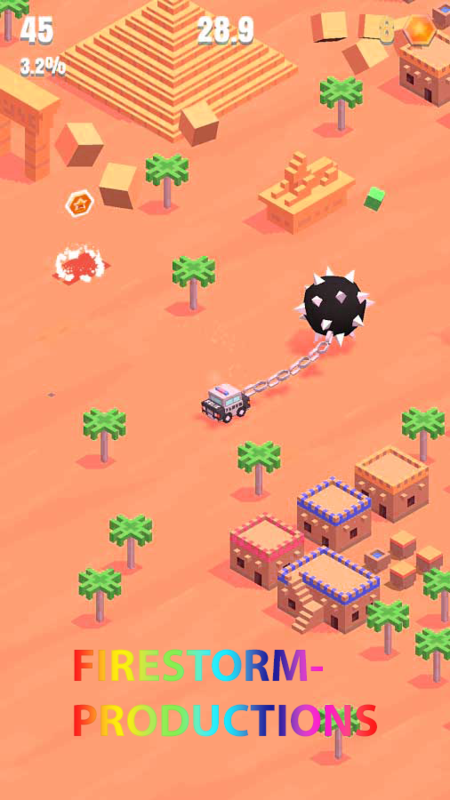 There have previously been trends of mobile games played throughout social media, such as puzzle games where you compete against both their friends and everyone else. 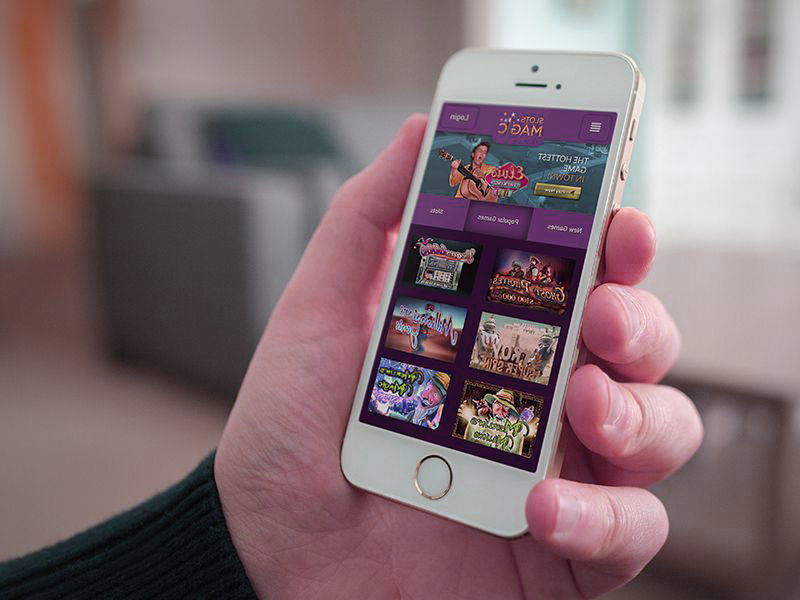 Now a clear stream of new casinos online has marked that the trend of casino games on the mobile are here to stay. Mobile usage have exploded throughout the world over the last few years, and it can be seen that it sets its footsteps in the casino world. Many new casinos are often launched as mobile casinos in the first place, although there are often more casino-games if you play via the computer. The advantage of a mobile casino is that it is very accessible and user-friendly. Registering a game account and getting started playing, usually takes no more than a few minutes, and the process is often very simple. Playing becomes an entertaining and easy time-killer (for example) while someone else relaxes in the living room before bedtime. No matter where you are, it’s very easy to log in and play. It is not only in say UK and Sweden, that you see this trend. All around the world, the number of casinos is increasing. More and more people start playing the casino. This may mean that some of the the taboo-aspects that exists around the casino today may disappear in the future. Just as you see a steady increase in phone surfing, you’ll see a steady increase in new casinos on your mobile. In our neighboring Norway, it has also become more popular to play casino on the phone. Just like in our own elongated country, the number of casinos has increased explosively in our neighboring country. There are more and more people who realize how fun and easy it is to get the big winnings!